This tour of the Hidden World of the Ancient Maya takes us to some of the more out-of-the-way, but spectacular, Maya ruins in southern Mexico that flourished between A.D. 300 and 900. 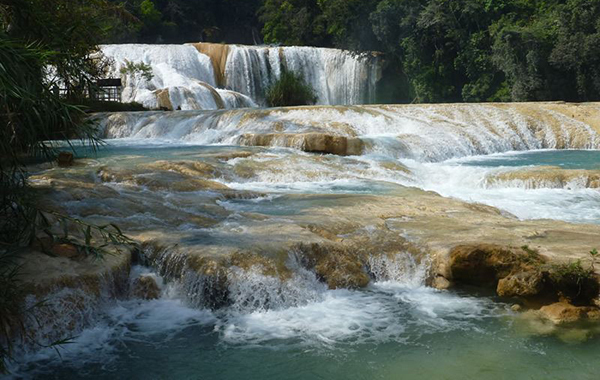 We begin in the tropical lowlands and end in the fabulous highlands of Chiapas among the modern Maya people. We’ll see tremendous pyramids, unbelievable sculptures and murals, and modern arts and crafts. An expert on the region’s archaeology will accompany us throughout the trip. Join us in Villahermosa for a welcoming reception. We’ll stay in this tropical city for two nights. We begin our adventure with a visit to the major Olmec site of La Venta with its great earthen pyramid. The Olmec laid the foundations for the later Maya development. 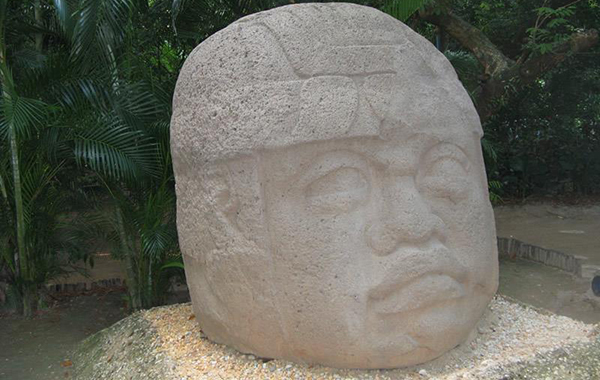 We will also see giant Olmec heads and other stone monuments at La Venta Park in Villahermosa. Comalcalco is the furthest west of all the Maya centers and uniquely built in the Maya style without stone, using fired bricks instead. Stucco sculptures and many buildings are well preserved. We then drive to Palenque for two nights at the Misión Park Inn with its fabulous landscaped grounds. Palenque, set in a tropical forest on the edge of the mountains, is the most beautiful of the Maya centers. Here Pacal the Great (A.D. 615 to 683) and his sons built some of the finest Maya buildings including the Palace and the Temple of the Inscriptions where Pacal is buried. 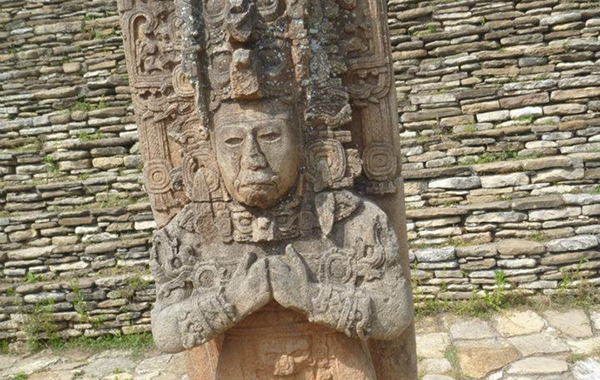 Bonampak is located deep in the forest of the Lacondon Maya. Here, the greatest surviving Maya murals dramatically depict life of the Maya royalty in the 8th century. We will spend two nights at the rustic Escudo Jaguar lodge on the banks of the Usumacinta River, the border with Guatemala. After a short boat trip on the Usumacinta River, we arrive at Yaxchilán, one of the loveliest Maya sites on a big oxbow of the river. It is perhaps best known for its dramatic stelae and door lintels, many of which portray the tenure of King Bird Jaguar IV (A.D. 752 to 772) and his family. 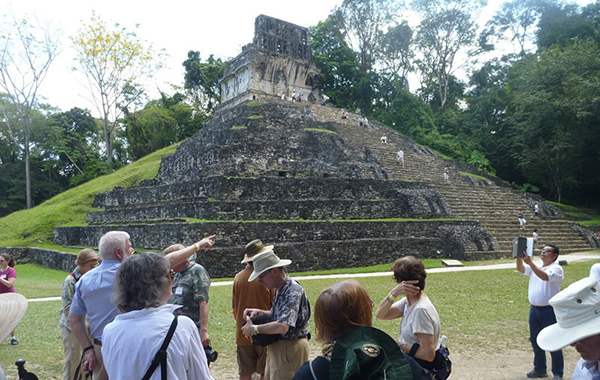 We return to Palenque, where the afternoon is free to revisit the ruins or enjoy the crafts of the village. 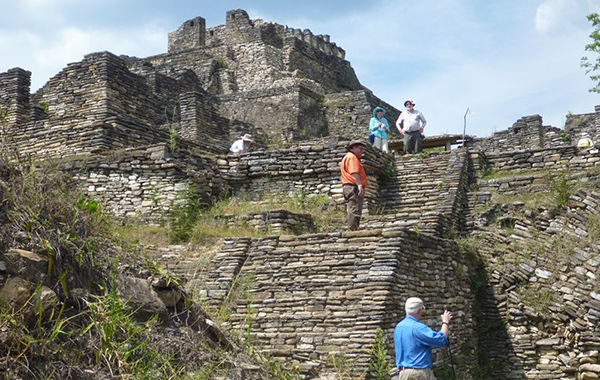 We leave the tropical lowlands for a long climb into the Chiapas mountains to the large Maya center of Toniná. The site is dominated by its acropolis, which rises in terraces and buildings some 233 feet up the side of a steep hill. After more climbing, we reach San Cristóbal de las Casas, which is nestled into a beautiful mountain valley. We’ll spend two nights at a charming colonial hotel. 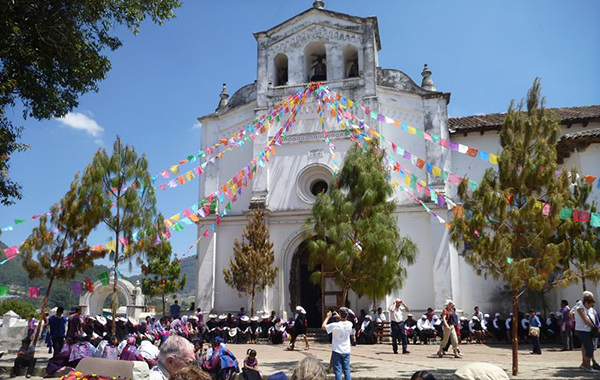 We’ll spend the day exploring the fascinating colonial-Indian town of San Cristóbal, including the cathedral that was begun in 1528 and the many markets, where traditional crafts abound. 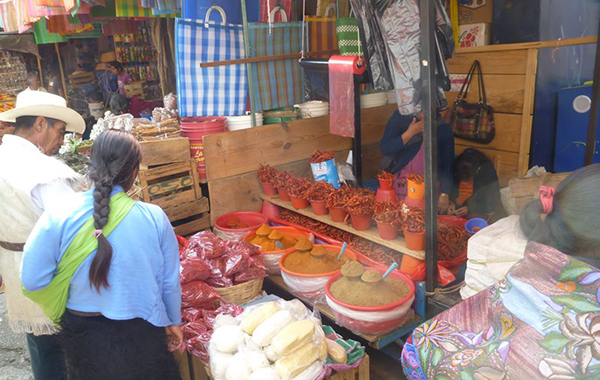 We visit the charming Tzotzil Maya villages of San Juan Chamula and Zinacantán, where traditional Maya culture still thrives. Villagers wear traditional dress, practice a fusion of Catholic and Maya religion, and are well known for their exquisite textiles. Late in the day we’ll take a short ride to Tuxtla Gutiérrez for the evening. Return home from Tuxtla Gutiérrez. Cost includes first-class hotel accommodations based on double occupancy (single supplement is $450), breakfasts, lunches, all meals at the Escudo Jaguar, happy hours, admittance fees, tips, tours and orientations, background reading, and surface travel via tourist bus with restroom. Not included are meals other than those specified and travel to Villahermosa and from Tuxtla Gutiérrez. NOTE: The weather should be dry in February. Warm in the lowlands and cool in the mountains. San Cristóbal is located at an altitude of 7,000 feet. Guests with respiratory problems should consult their physician. A modest amount of walking is required. Ruins have rubble, undeveloped trails, and steep stone stairs. Climbing these stairs is necessary in order to see many of the ruins. 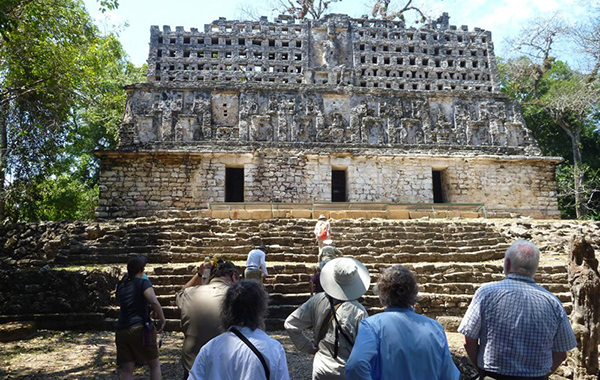 Read about two of the amazing ruins visited on this trip: Winter Archaeological Adventures to the Maya World!